If you haven’t heard of Deep Elm Records, you have been missing out. They began 15 years ago carrying mostly emo and indie bands. Now, keep in mind that 15 years ago, the word “emo” meant something completely different than it does now. Sunny Day Real Estate was considered “emo” when they came out. Back then, it wasn’t about wearing your girlfriend’s jeans or eyeliner (guyliner? ), it was just about the emotion in the music. Deep Elm was the home of bands such as The Appleseed Cast (one of my personal favorites, if you didn’t know by now), along with Brandtson, Camber, Cross My Heart, Seven Storey Mountain, etc. So, the label just released a brand new sampler, which you can d0wnload for FREE. It’s called “The World Won’t Spin Forever” and can be downloaded by clicking here. Deep Elm, at least recently, has been releasing some very good music from instrumental bands. Some call it “post rock” I suppose. It’s stuff in the vein of Explosions in the Sky, Mogwai, etc. Some of that is on the sampler. Some of their newer artists that have recently impressed me include Moonlit Sailor, Goonies Never Say Die and Carly Comando. Check it out and support independent music! The holidays can make it a little more difficult to update this thing, so it’s been a few days. I didn’t have the family-style Thanksgiving on Thursday, so I had lunch with my mother then Hail the Titans got together for one last practice before the show. Friday, my mom and I took a trip to northwest Alabama – to Haleyville, “where 9-1-1 began” according to their sign. We had lunch with the family then drove back for the Hail the Titans show. I had some family members all excited about the Iron Bowl when leaving Haleyville, but apparently things changed after halftime. I’m not into sports, so I was just excited about the upcoming show anyway. And to last night’s show… A big thanks to everyone who came out last night. Seriously. We had amazing crowd response. People seemed genuinely into what we were doing and didn’t seem to mind that it was all instrumental. We had a blast! Also, I’ve got to let you know – my friend Lucy made what may be the best pie I have ever tasted. Seriously. She somehow managed to combine pumpkin pie, cheesecake and chocolate together in such an awesome way that life as we know it may never be the same. Hail the Titans now has a couple of songs posted on Facebook and MySpace. We are still deciding on names, so at the moment, they are called “Three” and “Four,” named in order in which they were written. Take a listen and enjoy. Second, I was just informed by video guru Jeremy Carples that music by The Boss and The Rabbi is featured in a MetaCafe video promoting the newest Harry Potter film. The song used is “Standing over your bed at midnight” on the album “Her Origins at Midnight.” You can listen and purchase all music by The Boss and The Rabbi at our Bandcamp page. Last night, Joe (This Frequency Is) mixed down the Hail the Titans demo stuff, adding some EQ to things… all that fun stuff. The kick drum and bass are a little loud, at least when listening with it cranked in the car, but that’s actually my fault. Joe told me that it sounded loud, but then I’m like, “This sounds great!”… but yeah, it’s a little loud. Joe was right. It doesn’t seem to affect much on computer speakers since those aren’t known for having great bass response anyway. Quick note: The reason I used the word “demo” above is because the recording was done completely live – no retakes, no studio tricks, no putting the song together piece by piece. It’s got more of the feel of a live show. You might hear some imperfections here and there, but I am really happy with how it turned out. Also, it was nice to be able to hear all the things that Adam, Trey and Wes were playing individually. Seriously, those guys are awesome musicians, and I’m proud to be able to call them bandmates and friends. I’ll try to get some stuff posted later today. Be sure to “Like” Hail the Titans on Facebook and follow us on Twitter so you’ll know when the songs are available to hear. In movie-related news, I got a chance to read over, ask some questions and make some edits/additions to a short film script written by Jason Snellgrove and Benjamin Ross Lyerly. It’s good stuff. That’s all I will say about it right now. You’ll have to wait for Snellgrove to put out more info on it. The plan is for them to film it next month. Since AL.com started their Montgomery section, they have been very good about getting the word out about local shows. Yesterday, they wrote a story about the Hail the Titans / Justin Flave Turberville show this Friday. You can read it here. Also, speaking of Hail the Titans, last night, our good friend Joe from This Frequency Is set up some microphones and did a live recording for us. I’m hoping we can get it mixed and mastered this week some time and post it so you can at least get a sense of what we sound like. But really, you should be making plans to attend the show this Friday and then you’ll know what we sound like. Oh, a quick note I meant to mention yesterday regarding the promo video for the show… I have been seeing TV ads for the movie “The Expendables” recently – you know, the movie with all the major action stars of the last 25 or so years. In the previews, it just lists their last names, so I thought it would be funny to do that for Hail the Titans… so if you wondered why only the last names were listed, there you go. In case you haven’t seen it yet, here is the promo video for this Friday’s show featuring Hail the Titans and Justin Flave Turberville. Justin is the singer/guitarist for Bearhead, whom you should definitely check out. He’ll be doing acoustic stuff this Friday. If you haven’t seen him play acoustic before, you definitely don’t want to miss it. You may recognize some of the images in the video – they were taken by Pint Bottle Photography at our very first show on Halloween. I got an email this morning saying I got the part in that film I auditioned for yesterday! Big thanks to Tom Stedham for posting about the audition. We’re scheduled to shoot the first weekend of December as far as I know. Based on the script, I would put the film in the thriller/horror category – not in a supernatural or “the undead” kind of horror, but the more real-life somebody’s-going-to-die-and-you-should-be-scared horror. Also, last night’s show at the Independent included me performing with a sore throat and congestion. But hey, it’s not the first time I’ve played a show while being sick. I’m just not one to cancel a show if I can help it. I’ve played with sinus infections and even food poisoning. It happens. The bands that played with us were very good as well. The Alabama King Snakes are always good. The Boss and The Rabbi got to play with them last time we were at the Independent. Instrumental metal stuff. You should check it out. They always play films on the screen behind them when they play the Independent. Last night, one of the films was how hot dogs are made. I’m not a fan of hot dogs anyway, and seeing them being made kind of solidified my distaste for them. New Terminus is a band from Atlanta that was really good. Great tone, too, as one guitarist had an Orange Rockerverb (30, I believe) and the other had a Vox AC-30 Top Boost. And they both played telecasters. They did a cover of “How it feels to be something on” by Sunny Day Real Estate and pulled it off very nicely. Also, our friend Matt from The Bandar-Log that we played with Thursday came out to the show. The others guys wanted to be there, but had to work. If you haven’t check them out yet, then you need to change that immediately. They are a really good band. Before I go take a nap to get some energy for day 3 of the Easy Kiddo 3-Day Weekend o’ Rock – tonight at the Independent in Auburn, Ala. – I’ll make this quick post. Well, the first thing was about tonight’s show that you should attend, so yeah, come to Auburn tonight. Last night’s show was pretty fun. After the show, a bunch of us went to the Purple Onion to get some food. At 3 a.m., a Philly cheesesteak pita wrap with some fries is amazing. It’s probably amazing at other times of day, too, but I’m posting this based on actual experience. I woke up earlier than I would have liked to this morning, but I had a good reason – I auditioned for a film. It’s a student film, and it seems pretty cool, like it would be a lot of fun. So, if I get the part, I’ll be sure to post updates. OK, nap time. See you at the Independent later tonight. 2. Last night’s show was a lot of fun. 3. The Bandar-Log rocked. They are from Auburn, Ala. If you have not heard them or seen them, you should change that as soon as possible. 6. 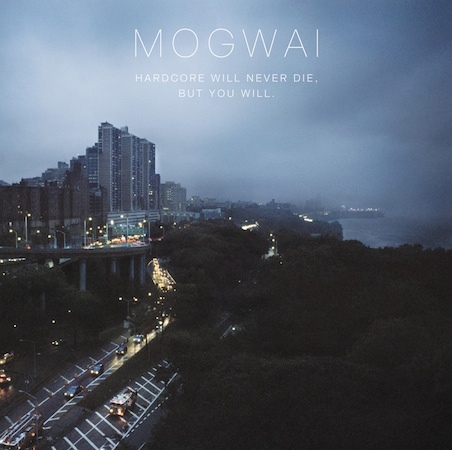 I’m listening to the new Mogwai song as I’m typing this and it’s really, really good. What do they say these days? For realz? ZOMG? Something like that, but you should give it a listen because it’s that good. I’m going to go ahead and start the song again. Good stuff. 7. Hail the Titans is playing a show next Friday! Yes, it’s the day after Thanksgiving. Yes, that means “Black Friday.” Yes, there is something called the “Iron Bowl” going on earlier that day. But hey… so what? Hail the Titans is playing that night. Here is the Facebook event thingy. 7 (B)?… Originally, Unsect was playing, and I was going to do an acoustic set to open their show, but they are unable to play… so you get to see Hail the Titans. Tell your friends. And your sister. Bring the whole family. They’re going to be in town anyway trying finish off turkey sandwiches. Bring some turkey sandwiches with you, in fact. It’s cool. Share. 8. My favorite BBQ place is no more. These are sad times. I’ll miss 5 Brothers. 9. The store that is located between my now-closed favorite BBQ place and Head on the Door is called “Organic Hippie.” If you want a copy of my new solo album “The Final Scene,” that is the place to go. So, go buy that and lots of other cool stuff from the store. They have shirts, vinyl, glassware, incense, etc. Cool place. 10. I’m listening to that new Mogwai song again. 11. Check out this interview with Jason Snellgrove on AL.com. Here is the link. If you don’t already know, he is in Breaking Aim and the Rhythm, 12th Hour, Flip the Switch, and he wrote and directed Gut Munchers. Flier design by Gloria Aitken. Click here for the Facebook invite and invite your friends. Also… still have stuff for sale. The Sunn Beta Lead is sold, but the stuff in this gallery is still available. Contact me for more info.